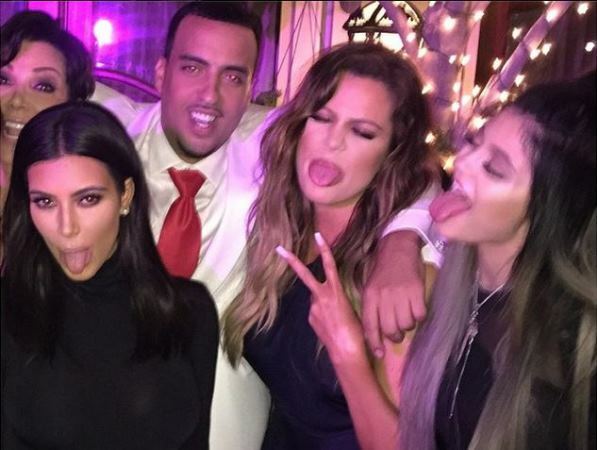 Khloé Kardashian shares “timeless memories” with ex-boyfriend French Montana. The 30-year-old Keeping Up With the Kardashians star recently split from the Moroccan-born rapper after eight months of dating. And rumours the pair have reconciled since the September split were heightened Sunday when she took to Instagram to wish him a happy birthday, sharing a photo of the pair getting close during a beach sunset. "Happy birthday baby boy! In only a short amount of time we have created timeless memories,” she captioned the image, revealing her plans to celebrate his 30th with him later that evening. “Happy birthday to a man who genuinely lives life to its fullest. 'What's understood doesn't need to be explained' @frenchmontana I can't wait to celebrate life with you tonight! You deserve it!!" It appeared some took issue with her comments, however, with US Weekly reporting Khloé took to Twitter shortly after to fire back at some of her critics. "I guess some people don't have genuine love for people anymore," she tweeted. "Blows my mind how critical human beings are these days. Love is love! Some of yall need a hug!" The pair have meanwhile been elusive about the current status of their relationship, with Khloé recently telling E! News they’re “hanging out” again. “I don't think there's a title on anything,” she said earlier this month. "Our relationship — you break up, you make up, you break up, you make up,” French previously stated. “We went through that a couple times. You never know."